We recently saw images of the iPhone 5S insides and the rear casing leak onto the Internet, and now the display and front casing has found its way on here too. In what would be the first alleged photos of the iPhone 5S screen, the leak is said to be pictures of the device sitting on the production line, suggesting the iPhone 5S is about to or is already in mass production. iPhone 5S Already in Mass-Production? The images match up with earlier leaks seen which supposedly leaked the iPhone 5S digitiser and LCD front assembly. The interesting bit about this picture is, well, nothing really. In what could easily be just a picture of the iPhone 5, the leak could be just a bit of photoshop. However, shown in the leaked picture is what looks like a different home button on the right hand device – a rumour that has been circulating which pegs the iPhone 5S to have a fingerprint sensor built into a touch-sensitive home button. In addition, the iPhone 5S is not expected to be visually any different from the iPhone 5, so would match up nicely – but then how difficult is a rumour like that to mock up in a few minutes? 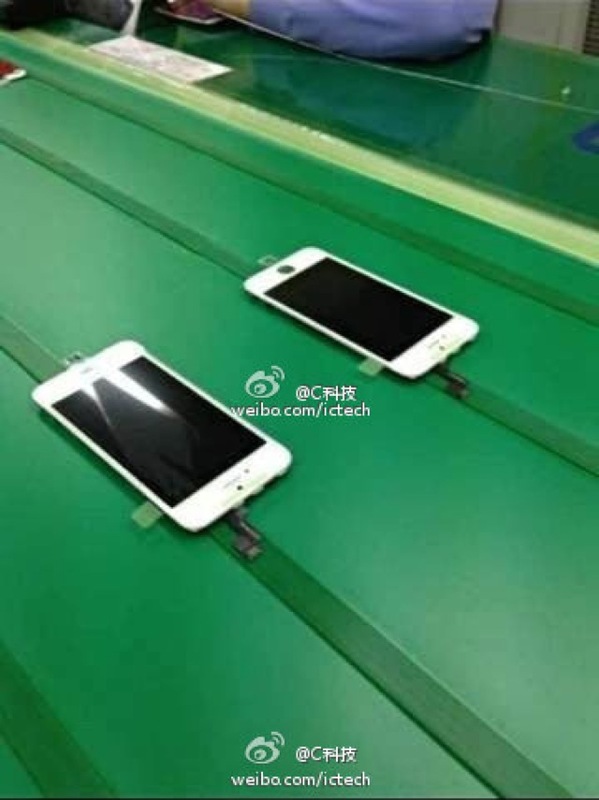 The source of the leak believes that this image alone proves the iPhone 5S digitiser and LCD assembly have already reached mass production, which means that the iPhone 5S will shortly begin assembly itself. Whilst I cannot reach the same conclusion from the evidence presented if the image is for real, then it presents a glimpse that iPhone 5S parts are beginning to hit the production line and whilst they may not have hit mass production status, they are certainly being built. Is this image leak legit or not? What do you think…? Let us know in the comments section below.